Keeping the kids amused during the school holidays - especially when the weather isn&apos;t great - is always a challenge. We&apos;re great believers in kids learning to cook and understanding where food comes from. If you follow us on Twitter and Facebook you&apos;ll see that we post all sorts of seasonal ideas. So, said a colleague, why not put it all together in a series of blog posts. Baking is probably the most fun aspect of cooking, although not the healthiest. But it&apos;s a good starting point for the youngest of the family and it allows for individual creative talent to shine through when it comes to decoration. Here are just a few ideas for this half term break. A simple and fool-proof recipe comes from Good Housekeeping&apos;s mid century cookery and household management books. It is one they say can be adapted to many variations, including one for jammy faces. Using this recipe all you need to do is take half the biscuit rounds and cut out two eyes and a mouth. 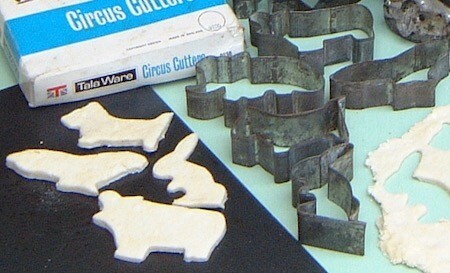 Once the biscuits have been baked and cooled, spread the plain biscuits with jam and cover with the faces. If you want to keep it plain and simple, then you can use the Shrewsbury recipe and choose from a range of different animal cutters from Tala and Nutbrown. 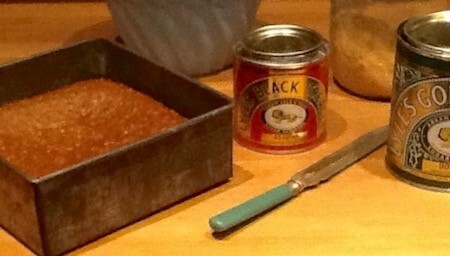 A really simple and fulfilling cake for winter is Yorkshire Parkin: A dark sticky treacly delight kids will love. This recipe is from the 1930s Manual of Modern Cookery. If all this sugar is worrying you, then encourage the kids to bake some bread. It&apos;s not entirely sugar-free as sugar is needed to activate yeast. The recipe comes from the Manual of Modern Cookery again, when cook would have been baking for a large family. It will make about four 1lb loaves, so you might want to halve the quantities. 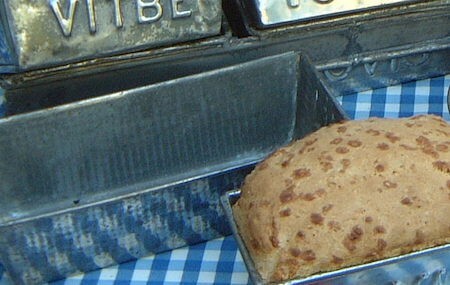 Loaf tins can be found on our Bread making pages.